Dughter of Óskar frá Akureyri and Birting frá Tungu. 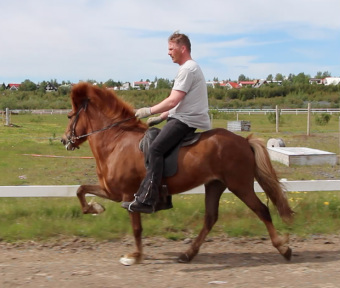 Elding frá Tungu is a potential competition mare for children or youngsters. She is easy to handle and has great movements. Daughter of Óskar frá Akureyri and Birting frá Tungu.